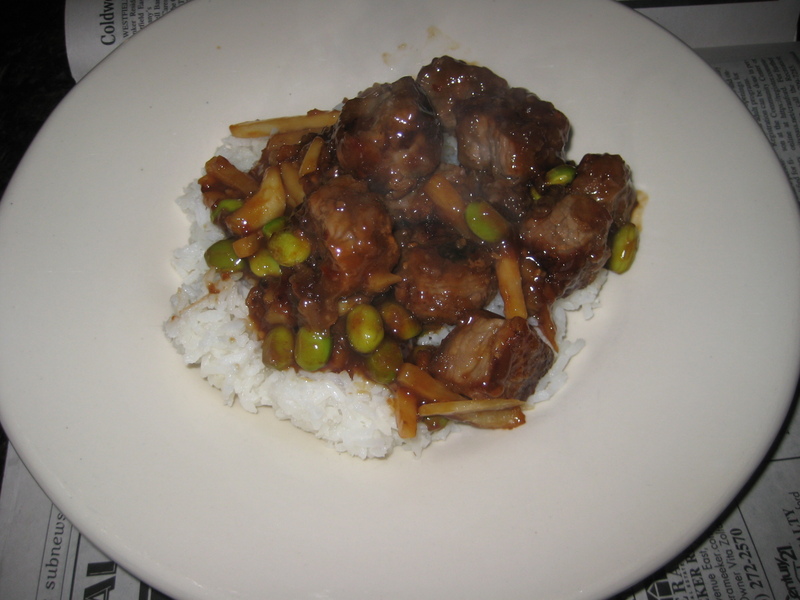 i’ve posted before about the wanchai ferry kits – this time i made the spicy garlic chicken kit – except with beef — i used a steak meant for stir-fry that i cubed up. didn’t have any peppers in the house so i through in some shelled edamame – delicious! 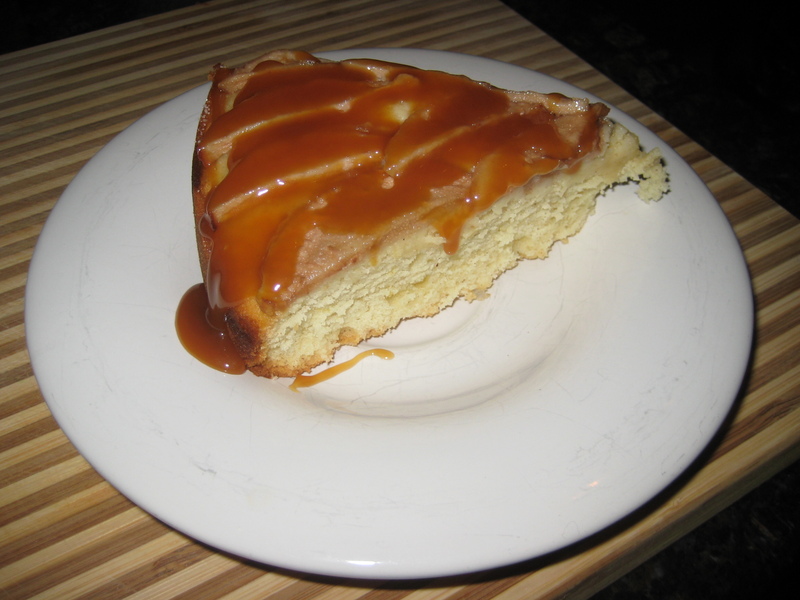 for desert i took a piece of yesterdays pear butter cake and added some of tj’s fleur de sel caramel on top! YUM exactly what this cake was missing!